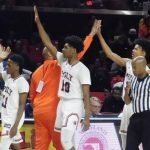 Poly, with assistant coach Anthony Fitzgerald (left), Brandon Murray, Rahim Ali, Justin Lewis, Armani Walker and coach Sam Brand are champions again after defeating Reservoir in the Class 3A state boys basketball title game at the University of Maryland Saturday. The No. 2 Engineers are the first team to win three consecutive 3A championships. 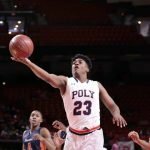 Poly High boys basketball coach Sam Brand said he felt “chills” Friday when a reporter asked about his team being in position to win a record third consecutive Class 3A state championship. Saturday, Brand fought back tears. The No. 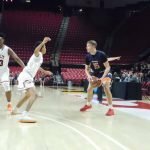 2 Engineers made history with a 69-41 rout of 15th-ranked Reservoir in the 3A title match at the University of Maryland’s Xfinity Center. 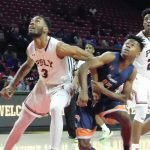 Brandon Murray had 17 points and nine rebounds for Poly (22-5 overall), and Rahim Ali added 16 points, six rebounds and five assists. Josh Odunowo finished with 18 points and 14 rebounds for Reservoir (18-9). 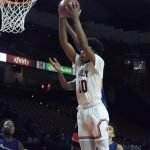 The Engineers scored 17 of the game’s first 19 points en route to the third-biggest margin of victory in 3A finals history. 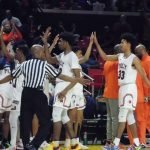 The Baltimore City school is the first program to win three consecutive 3A titles and the third area team (Dunbar twice and Randallstown) to three-peat. The intense and emotional Brand’s eyes welled up as past players were mentioned during the postgame press conference. Poly, once a football powerhouse, and among top academic schools in the area, has morphed into arguably Baltimore City’s premier program. 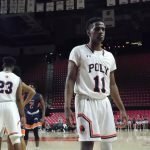 Amani Walker has been an unsung hero for Poly the last three years as a defensive cleaner in the paint. The 6-foot-8 center posted 12 points and eight rebounds in his final game Saturday. 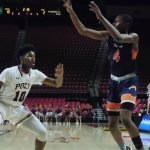 “He challenges me every day and doesn’t back down,” said teammate Justin Lewis, one of the nation’s top forwards in the Class of 2020, who finished with eight points, 10 rebounds and six assists Saturday. The Cold Spring Lane school felt comfortable saying it was the favorite in this year’s 3A Final Four. 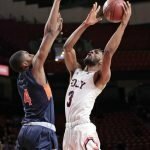 After falling behind 4-0 to C. Milton Wright in Thursday’s semifinals, the Engineers didn’t trail for about the final 60 minutes of play on Gary Williams Court. It was 8-0 after four minutes of play and 14-2 after one period following Murray’s reverse layup. Poly led 32-7 after Reservoir’s second field goal with 3 minutes, 47 seconds remaining in the first half. 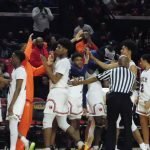 The Gators, in their first state final, showed some life in the final minutes, closing the margin to 39-20 at halftime. 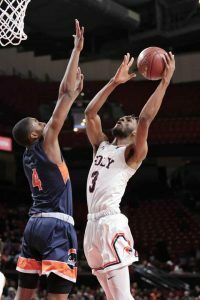 Walker started the second half with a dunk and Poly again opened the floodgates on the Howard County school, building a 32-point advantage. There would be no Cinderella-like ending for Reservoir. 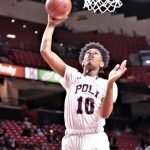 “That’s just a phenomenal high school basketball team. 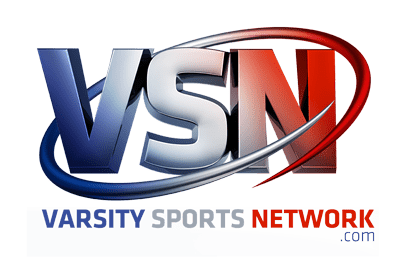 That’s a phenomenal team in general,” said Gators coach Mike Coughlan. “We knew we had our work cut out for us. Despite finishing third in the Howard County league, Reservoir peaked at the right time to reach its second state Final Four. 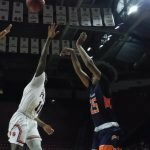 Saturday marked the final game for starters Odunowa, Kaden Toler, KyJuan McCallum and Josh Bradford. 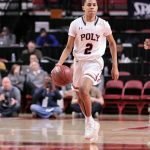 With Walker only graduating from the starting five, Poly may be destined for another state Final Four next season. 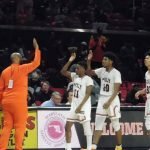 The Engineers have three state titles and two Baltimore City championships over the last four seasons. Reservoir – Toler 1, Odunowo 18, McCallum 2, Ameli 4, Manning 2, Barrett 5, Sanderson 2, McKoy 2, Glasper 5. Totals 12 16-25 41. 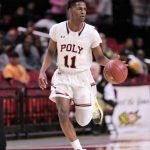 Poly – Walker 12, Lewis 8, Ali 16, Murray 17, Wallace 5, Lindsay 4, Lamothe 1, Brown 4, Massenburg 2. Totals 22 22-33 69.